London - Lewis Hamilton has said he is still coming to terms with winning a fourth world championship title but has been humbled by the support he has received since Mexico. Hamilton became the most successful British driver of all-time and levelled up with Sebastian Vettel by clinching a fourth trophy with two races to spare. However, he is not ready to switch into off-season mode and reflect on his success just yet. “I guess the reason it’s not really sunk in is because I’ve kind of tried to stay in the zone, really,” Hamilton told reporters in Brazil. “I’m still kind of in the same mental frame of mind, so it feels abnormal to back off at this point. 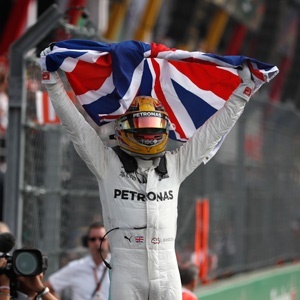 But Hamilton has been taken aback by the amount of praise and congratulatory messages he has received. ”I had messages from so many people,“ he added. ”Super, superstars. Musicians, actors, it was kind of mind-blowing. I can’t believe they’ve taken the time. “It feels good walking into the paddock as a world champion. It feels like the first time. I don’t know why, but it feels so fresh and so new."